When I was asked to compile a list of ten great YA British books, my brain went into meltdown. This relatively simple and enjoyable task made my head boggle. I immediately started worrying. What exactly was meant by Young Adult? How was I going to limit myself to a mere ten books? What criteria would I use to single out those ten special books from all the other great books I’ve read by British authors? And why oh why oh why isn’t Louis Sachar British? And once again I found myself reflecting on how very difficult it is to define the label Young Adult Fiction. It means so many different things. YA is the corner of a bookshop where you’ll find stories – sometimes realistic and sometimes total fantasy– which have young teenage protagonists and a heavy focus on the trials of adolescence. But, then again, YA can be less about being a teenager and more – as its name suggests – about being a young adult, legally old enough to drink, vote and run for parliament. These stories sit side by side with the younger teen stuff on the very same shelves in that same corner of the bookshop. And that’s not the end of it. More and more frequently, YA is also mixed in with the pre-teen books on the neighbouring shelving unit – just because a book cover does not always convey whether the words within are aimed at a YA audience or 9-12s. And then – confusing the issue even more – are people like me. I write YA fiction and read YA fiction and love YA fiction and am excited that YA fiction is really booming at the moment but – and perhaps this may sound contradictory – I also love it when teenagers spread their reading wings and flutter as widely as possible to whatever shelf they fancy. Because being a young adult is about filling your head with new things. And if ever the act of reading feels like nothing more than an effortless race through endless books, this is the signal to explore other areas of the bookshop or library. Yes, the books you find there may sometimes be more of a struggle but it’s actually good to struggle with stuff now and then. It’s precisely that struggle which changes us from reading caterpillars to reading butterflies. The first page of Sue Townsend’s novel, The Secret Diary of Adrian Mole aged 13 and ¾ carries the line, ‘Paul walked with something screwed up tight inside him.’ It’s a quotation from DH Lawrence’s 1913 novel and it sums up the pain and isolation which the teenage protagonist Paul Morel is feeling. 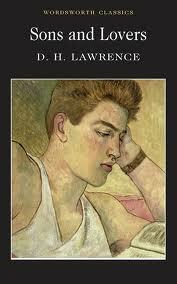 DH Lawrence is not an easy read but I think this is his greatest book. It follows Paul’s life as he struggles with his parents, his career prospects, his community and his love life. Perhaps it’s the first YA novel. 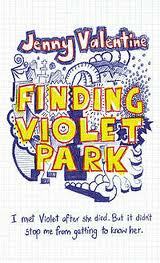 No wonder Sue Townsend chose it as a prologue to Adrian Mole. Nothing whatsoever to do with hobbits. A plane full of schoolboys crashes on a remote island and the boys are left to fend for themselves without any responsible adults to set a good example. They go berserk. I like history a lot. And I like stuff which is quirky and different. So this book ticked all my boxes. It’s set in Tudor London. There are amazing descriptions of London Bridge with all its shops and houses on. But actually it’s a really disturbing story of abuse and neglect. There’s some witchcraft thrown in there as well. Maybe I haven’t made it sound great. It really is though. It’s a great book. Possibly it’s pre-teen though and not YA at all. Like I said, these labels are hard. Well I expect you’ve read this already. I thought it was brilliant. And I loved the way Mark Haddon used crazy fonts and images too. That appealed to me. I don’t like looking at a wall of text when I open a book up. That’s why my own books have got different sized font and scribbles in them. It’s an entirely selfish thing. Not an easy read by any means. The first time I picked this up I had to read the opening chapters a couple of times to make sense of how the narrative all hangs together. But crikey – my effort was rewarded. This is the original gothic novel! A huge man is stitched together out of dead body parts by an obsessed ego-maniac who thinks he’s going to change the world. And this definitely ought to be on any YA fiction shelf because Mary Shelley was ONLY SEVENTEEN YEARS OLD when she started writing this. OH MY GIDDY GOD! How clever was she? Even without the Olympics Opening Ceremony, FCB is a living legend. His books are clever and funny. In this one, he made me laugh and taught me about art at the same time. Respect to the man. The central character, Dylan, is 12. So maybe not YA then. The plotting of this is so clever. The idea of it is clever. The characters are wonderful. The message is wonderful. This is a wonderful book. And it all kicks off with an urn full of ashes in a taxi cab office. Wish I’d thought of that. Oh but this is such a dark and sinister read. It’s about bullying. The character called Hooper is one of the nastiest little sh*ts you’ll ever read about. In fact, the whole novel is an unrushed simmering story of nastiness and the ending left me utterly devastated. Perfect for the beach. It had to be at number one. I read this not long after it first came out. I was thirteen. Apart from a series of soppy American romances and the books we were given in English lessons which all seemed to be about nuclear war, I don’t remember reading any specifically YA fiction. I just read anything. 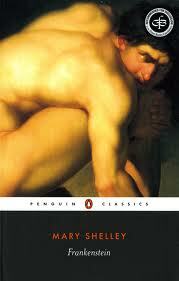 By 13, I’d struggled through Jane Eyre and Wuthering Heights. I’d read the only three books in our house which weren’t mine. Billy Liar by Keith Waterhouse, The Adventures of Huckleberry Finn by Mark Twain and Everest, the Hard Way by a mountaineer called Dougal Haston. 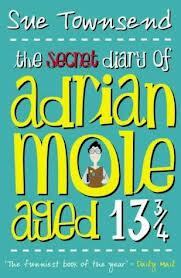 And then I ordered Adrian Mole from my school book club and it blew me away. It was entirely different to anything I’d previously read. It was cheeky, familiar, funny and very recognisably British. 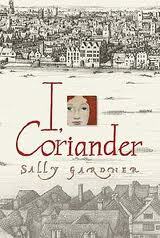 And Sue Townsend writes so effortlessly and with such apparent ease that she made me believe I could write books too. Hurray! Categories: Top Tens | Tags: Hayley Long, Jenny Valentine | Permalink. It’s how you look at it. . . . Someone shoves a photo negative into Rowan’s hands. She is distracted but, frankly, she has larger problems to worry about. Her brother is dead. Her father has left. Her mother won’t get out of bed. She has to take care of her younger sister. “And” keep it all together . . .
Everything is about to change for Rowan. . . Finally, something positive is in her life. 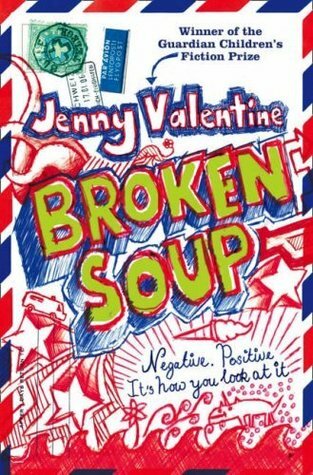 Broken Soup is on our UKYA Top 100 list. Categories: England, Mystery, Social/Family | Tags: Jenny Valentine | Permalink. The mini cab office was up a cobbled mews with little flat houses either side. 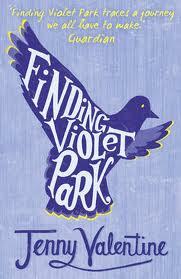 That’s where I first met Violet Park, what was left of her. 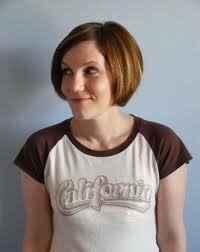 Categories: England, London, Social/Family | Tags: Jenny Valentine | Permalink.